Eugene Wigner is a physicist that has been awarded with the Nobel Prize, and he has repeatedly written that consciousness is at the root of the quantum measurement problem, and our limitation is perhaps only a “reflection of the kinds of observation we can make”. These are practically the same words used by Werner Heisenberg when explaining that: “what we observe is not nature itself, but nature exposed to our method of questioning”. These revelations imply that there is a whole Universe right here which we cannot detect or sense in a daily basis. There are still many things we haven’t discovered and science still has a long way to go. A big achievement would be determining the frequencies or energies that handle psychic phenomena, biofields and energy healing. Organizations like the Institute of Noetic Sciences (IONS) and the Consciousness and Healing Initiative (CHI), or Dean Radin and Shamini Jain in particular, are the leading researchers and integrators that are experimenting with and unveiling consciousness and energy medicine. Though it is still discovering itself, Quantum Theory is the result of the collective work of the greatest minds of the last century. Einstein made us understand the Universe, but Quantum Theory explains the subatomic realm. Quantum Theory can explain the relation between tiny particles and electromagnetic radiation. So it might give insight into the energy biofields of the human body. One of its most shocking and amazing experiments is the famous Double Slit Experiment, it basically tells us that reality is affected by the presence of an observer, and a particle behaves as a wave when lacking an observer. It obtains a wave-like function. Dean Radin has studied extensively about when does the wave-like function collapses and then behaves as a particle. In the image below we can see a simulation of this wave-like function, meaning that just one electron is acting as a wave and goes through both slits (Author: G. Mikaberidze). This phenomenon creates an interference pattern, which is a reflection of the waves colliding between themselves. So an interference pattern implies more probabilities than just left or right slit, the behaving of a wave makes it probable to be anywhere. A particle goes through the left or right slit. 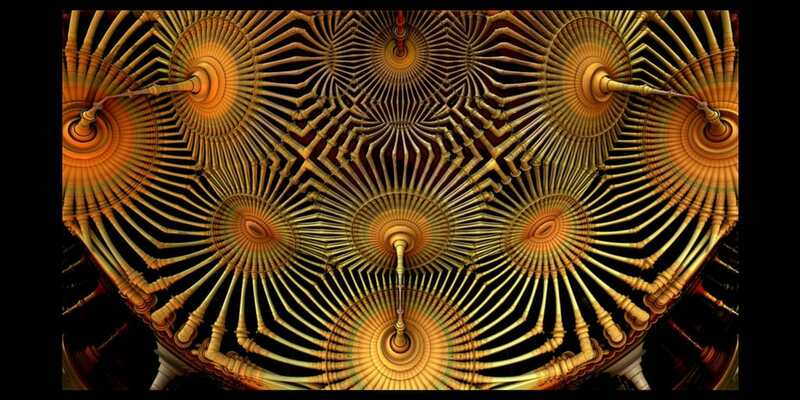 A wave goes through both at the same time, creating an interference pattern. Another important weirdo contribution of Quantum Theory is the so called Entanglement, that one which Einstein once called “spooky action at a distance“. Quantum entanglement is an area of extremely active research by the physics community, and its effects have been demonstrated experimentally with photons, electrons, molecules the size of buckyballs, and even small diamonds. Research is also focused on the utilization of entanglement effects in communication and computation. But it is also interesting the relationship that Entanglement might have with long-distance therapies, telepathy, collective consciousness, and connections with our loved ones when they are far away. But even long distance pairings require for a network from which to transmit information. Physicist John Archibald Wheeler has theorized that, at a microscopic level, quantum effects might tear the fabric of space-time, producing a structure involving wormholes. He speculated that such wormholes could connect pairs of oppositely charged particles such as electrons and positrons. Wheeler’s hypothetical structure is sometimes called the “quantum foam.” It is posible that when we speak about a quantum consciousness we speak about a microscopic quantum foam through which space and time are easily distorted. Dr. Stuart Hameroff, a former anesthesiologist, founder of an annual interdisciplinary congress on Consciousness. He is also the Director of the Center for Consciousness Studies at the University of Arizona. He teamed up with mathematical physicist Roger Penrose in order to elaborate the Orch-OR Theory (Orchestrated Objective Reduction). This theory determines that the microtubules inside neurons can increase or decrease the quantum resonance, thereby modulating consciousness. Basically, it implies that consciousness is modulated inside neurons, more specifically, it flows along the microtubules. This theory is similar as the body consciousness referred as The Living Matrix, in which microtubules also play an important part. Hameroff and Penrose interpret all the microtubules in neurons as quantum processors, at perhaps deeper levels of space-time geometry. This fits with the knowledge that the more asymmetrical the cell is, the more microtubules it needs to maintain balance and structure. Curiously, the most asymmetrical cells in the body are the neurons. 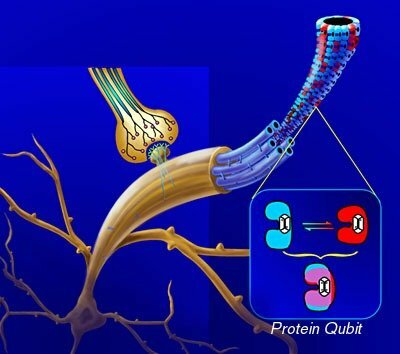 It interestingly implies that information of quantum nature is being processed at the intraneuronal microtubules. Some other features of this theory involve that consciousness is not inside the brain (but is modulated along the microtubules), that it can go back and forth in time, and that quantum events are key components of consciousness.